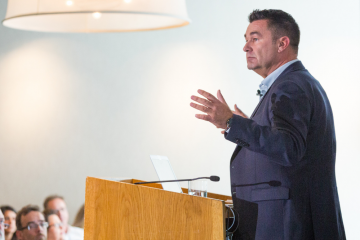 Adolfo Hernandez, CEO of SDL, joined the stacked speaker lineup at SlatorCon San Francisco 2018. Hernandez outlined how SDL’s recent acquisition of Donnelley Language Solutions fits into the company’s transformation strategy amid the various “tectonic shifts” that the language industry is experiencing. Hernandez, who has led the content management and translation solutions business through two years of a multi-year corporate transformation, told participants that “volume is going to be the big thing for the next decade,” and that the common thread in the language industry at the moment is one of more content, more languages and more formats. Viewed through a lens of increasing regulation, said Hernandez, these three elements make for a “perfect storm” because of the coordination challenges that customers in heavily regulated markets face in needing to comply with industry- and country-specific regulations. And, at the eye of this perfect storm, the CEO sees a “perfect opportunity” in the form of finance, legal and life sciences industries, all highly-regulated, or premium, markets. In acquiring Donnelley Language Solutions, Hernandez said that SDL is “making a very transparent move on premium industries.” Within these industries, Hernandez explained, quality assurance means much more than ensuring that the translation is fit for purpose. Customers also need to be satisfied of the integrity of the entire end-to-end process. “Customers do not want to buy a solution,” Hernandez said, and language service providers (LSPs) need to provide a range of agile solutions for customers to choose from. “To be successful in premium you also have to be good at standard,” Hernandez told SlatorCon, explaining how companies can leverage the high-volume, standard industries when servicing the premium industries. Hernandez said that standard industries “give us the volume and corpus of data that we can use to train the [machine translation] engines,” which can then be packaged into solutions that are appropriate for the premium industries. What does the SDL CEO make of machine translation? For one thing, Hernandez thinks that “MT is evolving. It’s fantastic, but it’s just one more ingredient….the content has to be integrated, translated, managed and ultimately distributed to the right audience in the right format,” again highlighting the importance of deployment and service delivery in an end-to-end model. Beyond machine translation, Hernandez sees a broader application of natural language processing within in the language industry and believes it can aid language understanding, language translation and language creation. “There’s a lot more to natural language processing than translation,” Hernandez said. 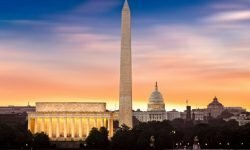 SDL is two years into a multi-year transformation, and is acting on the “strategic imperative to…double down on premium industries” that fueled the Donnelley acquisition. Open items on SDL’s transformation to-do list, according to Hernandez, include accelerating revenue growth, driving operational leverage and continuing to review uses of cash, including acquisitions. Hernandez’s prediction for M&A activity elsewhere in the language industry? “There will be consolidation for sure,” he said, since the “whole industry could be automated a lot more and there’s the whole thing of data coming.” However, “I don’t think this will be a market where the winner takes all,” Hernandez told SlatorCon. 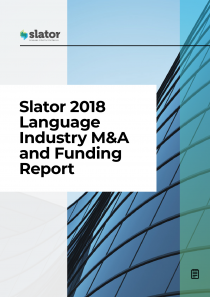 Download the Slator M&A report for an in-depth analysis of language industry mergers and acquisitions in 2017. 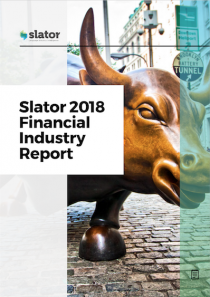 For more on one of the major premium industries, download the Slator Financial Industry report and, for insight into neural machine translation, download the Slator NMT report.